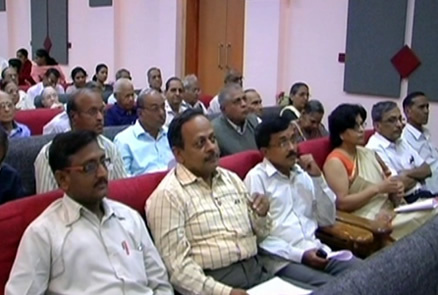 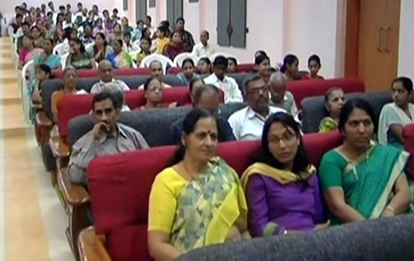 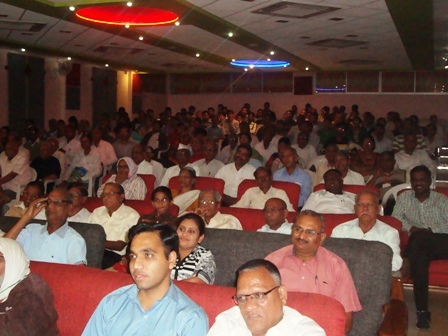 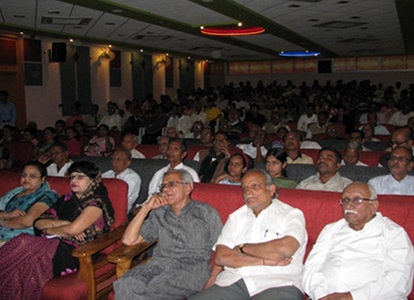 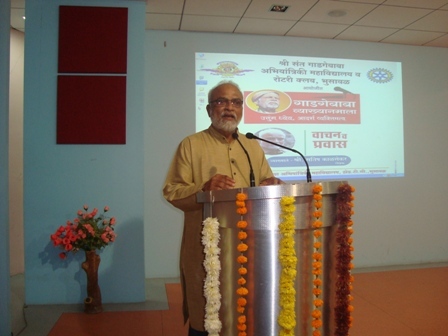 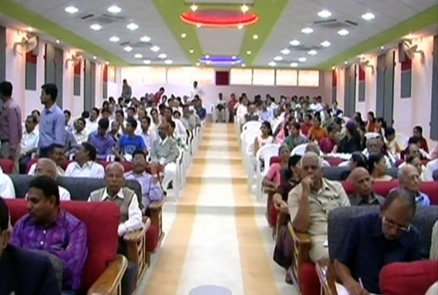 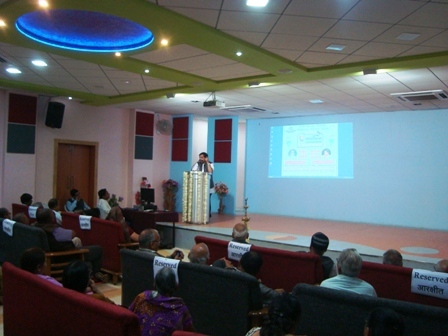 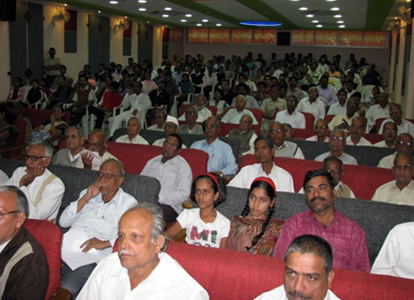 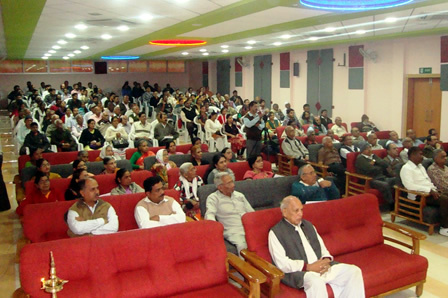 "Gadgebaba Vyakhyanmala - Lecture Series"
GADGE BABA VYAKHYANMALA (Lecture Series) presents topics and perspectives of vital interest to the social, technical and educational community. 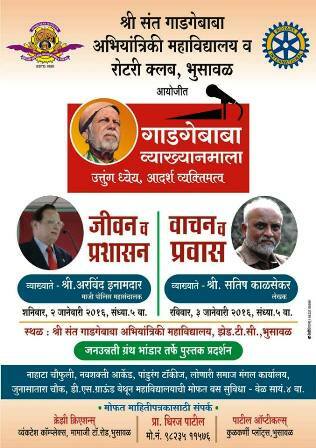 The mission of this lecture series is to imbibe the reforms and visions of Gadge Baba like social equality, Importance of education and their co-relation with advancement in technology. 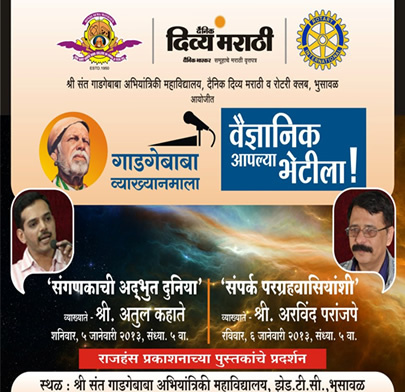 This activity provides platform to students, teachers and the whole community in nearby region to interact with the eminent personalities of repute from varied fields. 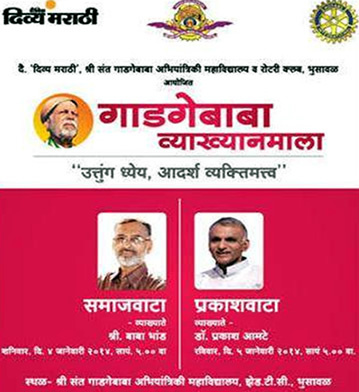 This four year old program is gaining tremendous popularity and proving to be a way to bring a positive change. 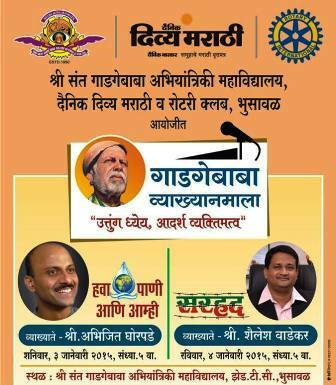 GadgeBaba Lecture Series “GADGEBABA VYKHANMALA” comes to you the very first weekend of every year. 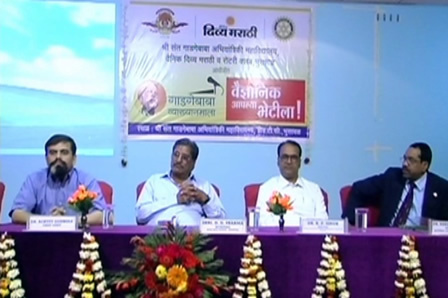 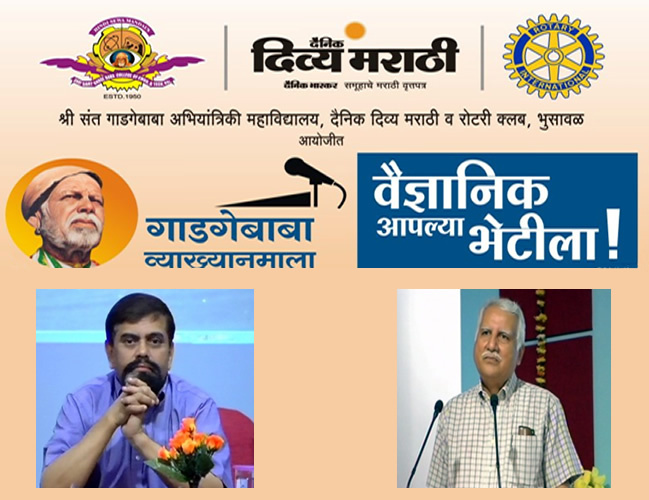 In association with print media Divyamarathi and Rotary Club of Bhusawal this programme has gained an overwhelming response from the people, is one to look forward to at beginning of every year. 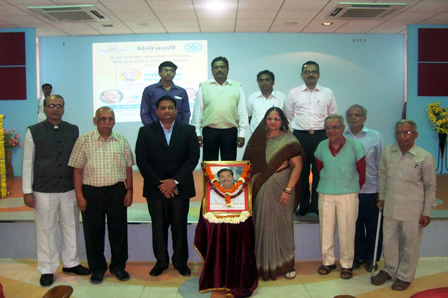 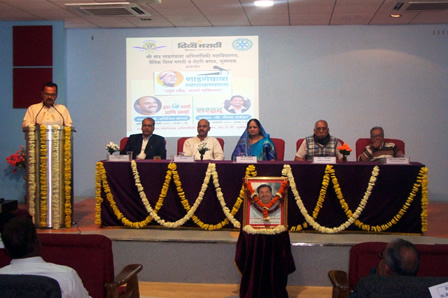 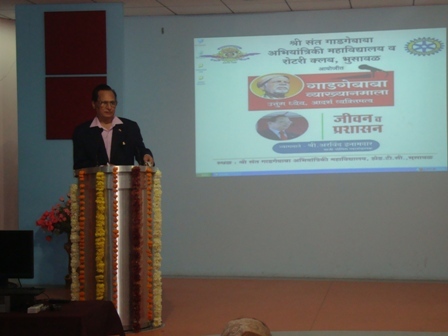 Eminent Speakers invited for lecture series which began in year 2012 : Dr. Achyut Godbole, Dr. Bal Phondke, Shri. 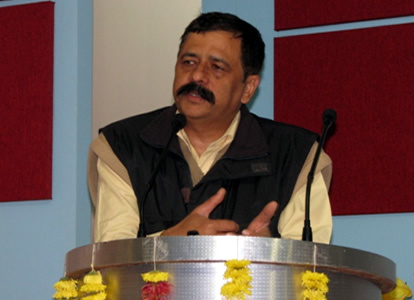 Atul Kahate, Shri. 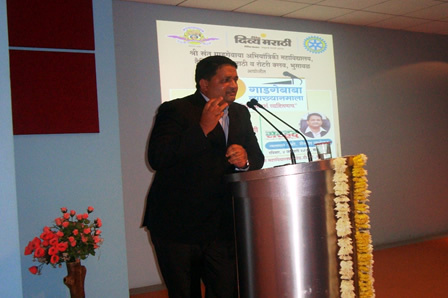 Arvind Pranjape, Shri. 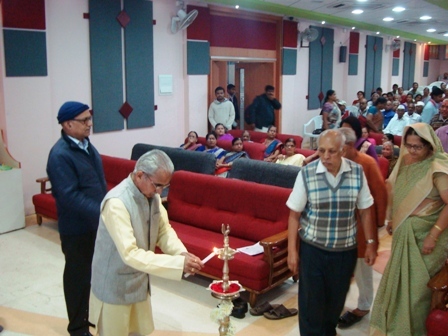 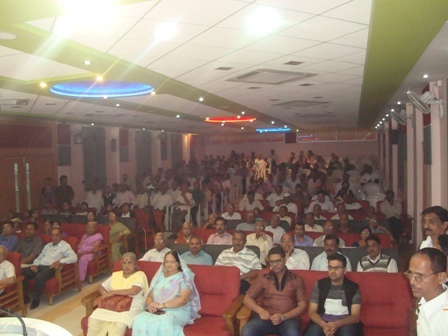 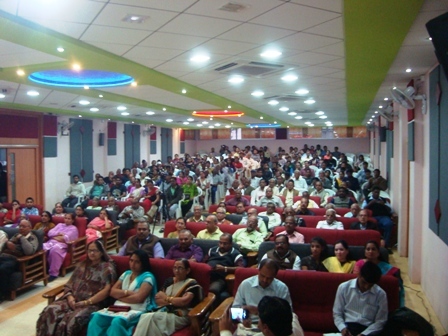 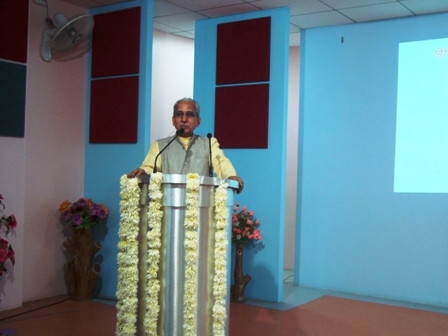 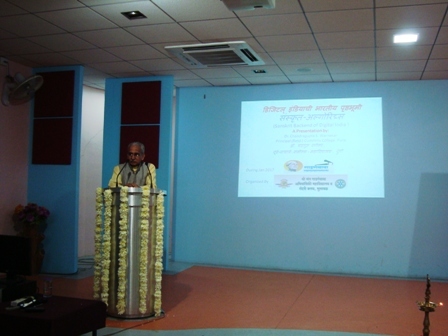 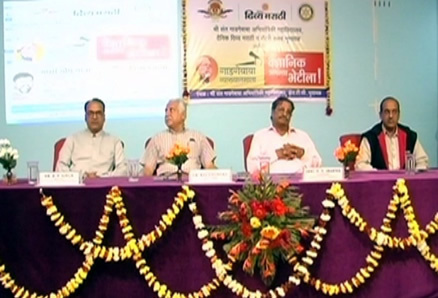 Baba Bhaand, Dr. Prakash Aamte, Shri. 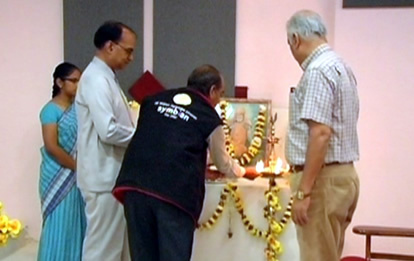 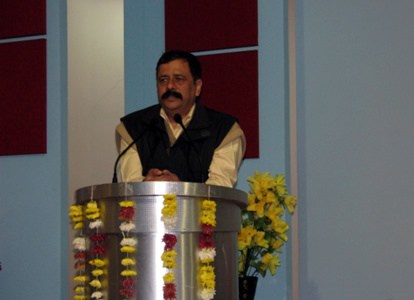 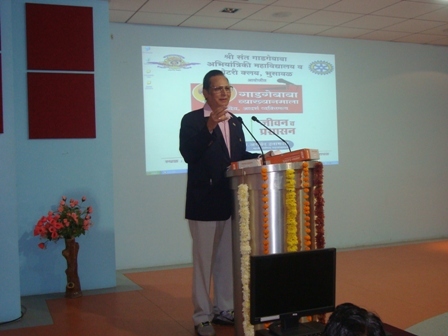 Abhijit Ghorpade, Shri. 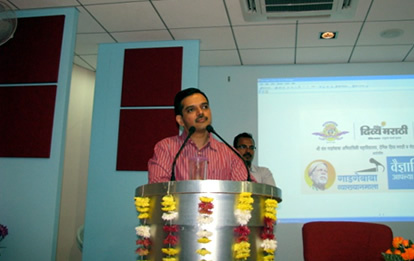 Shailesh Wadekar, Shri. 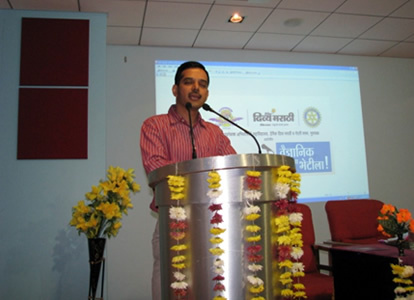 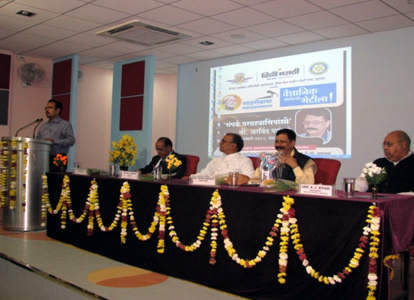 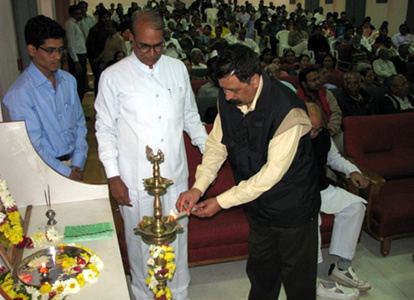 Arvind Inamdar, Shri. 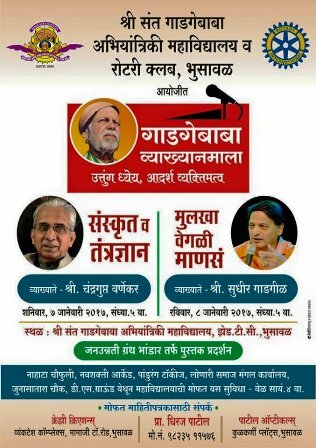 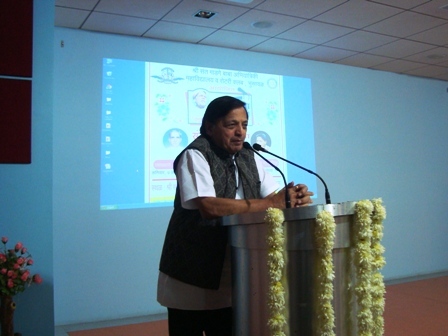 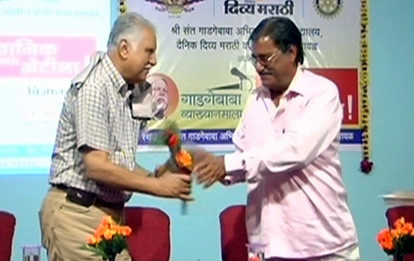 Satish Kaleskar, Dr. Chandrgupt S. Warnekar, Shri. 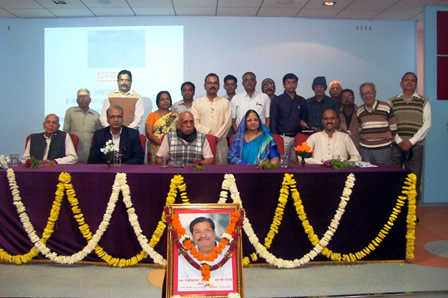 Sudhir Gadgil and journey shall continue.